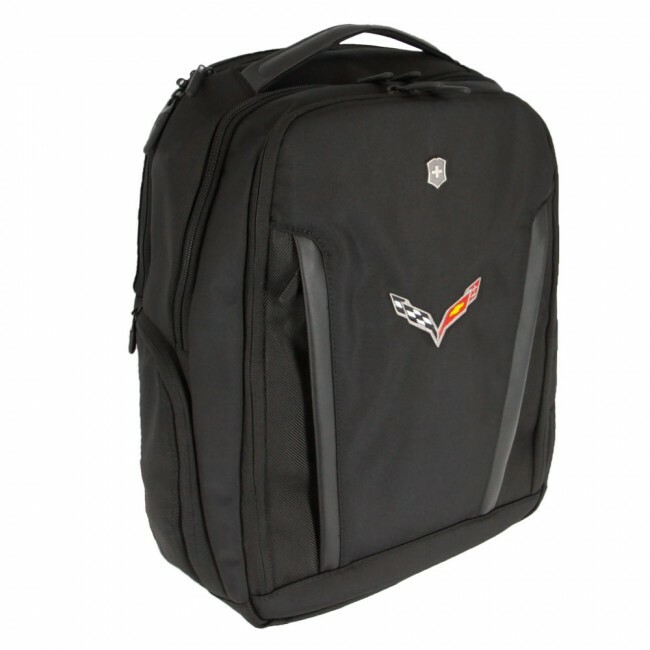 Sleek high functionality backpack perfect for your modern day workplace. With multiple pockets every pocket serves a purpose from deep vertical front pockets with inserts, loops and enclosures for keys , valuables, wallets and smaller devices. Larger zippered pockets for both a laptop and a tablet. Giving you enough capacity to make sure you're equipped for work. Embroidered with C7 crossed flags.